The Kings’ House is suitable for more demanding customers. We recommend this particularly to newlyweds, smaller groups of friends and foreign visitors. The Kings’ House is located about 100 m from the main Tavern building, inside the forest. The building is surrounded by a fence to provide our kings with extra privacy. In the yard, our royal guests can sit under a canopy on a specially built ‘buttock-measuring log’ and have a barbecue. However, charcoal and other barbecue equipment are not provided. If you forget to bring your own, the necessary equipment can be rented or bought from the main Tavern building. The Kings’ House has roofed terraces in front of and behind the building, equipped with tables and benches, where you can enjoy the fresh air and eavesdrop on what the local songbirds are up to. There is also a splendid devil’s kettle (barrel hot tub) in the yard with multi-coloured lighting and a bubble system. Unless the royal treasury is running low, we highly recommend ordering the use of the hot tub, which is heated to 38 degrees Celsius for your arrival. 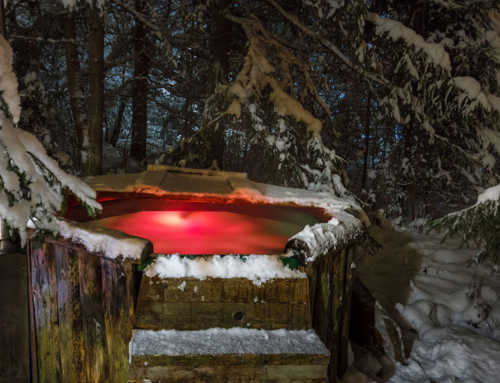 No vacation or sauna party should ever go without a warm and bubbling barrel hot tub. On hot summer days, we can also fill the tub with cool water. The Kings’ House has three rooms with a separate entrance. 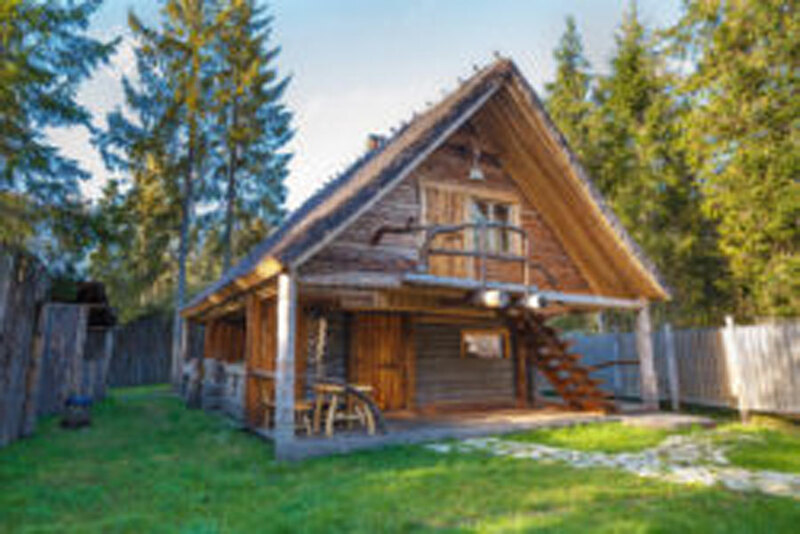 The building can sleep up to 7 people. Room No. 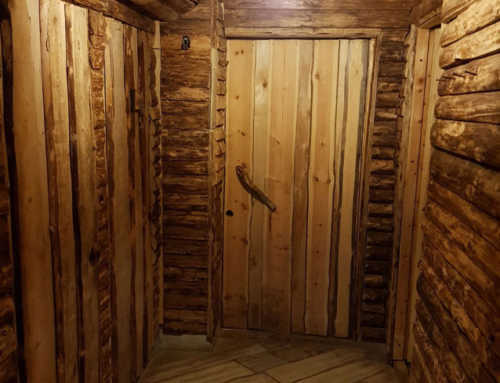 1 This chamber is the height of luxury. 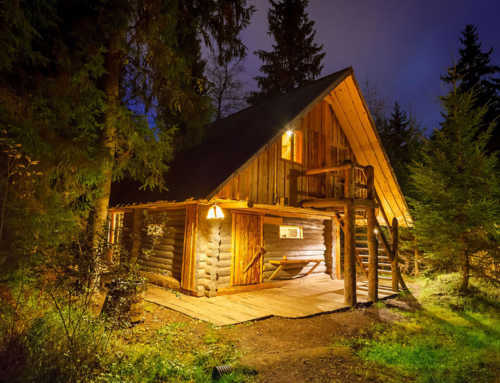 It is equipped with a large double bed, a separate sauna, fireplace, refrigerator, stereo system, TV, shower/toilet and kettle. In addition to the large bed, an extra bed can be brought in for one older child or two younger children. Room No. 2 The room is equipped with a large double bed, TV, stereo system, kettle, shower/toilet, and an extra bed can be brought in for one older child or two younger children. Room No. 3 The room is equipped with 1 double bed and 1 single bed, a TV, stereo, kettle and a shower/toilet. For the arrival of the guests or the agreed upon time, the hot tub is heated to 38–39 degrees Celsius. After that, no further heating is provided.